At this budget, we're using the AMD Ryzen 5 1600. The R5 1600 includes a stock cooler, so a 3rd-party cooler isn't necessary. Since we aren't overclocking our CPU, the stock cooler will be sufficient in keeping temperatures acceptable. Note: If you'd prefer to consider a similar build, but instead using an Intel processor, be sure to check out our Great Intel Gaming Build Guide. We're using a parametric filter to constantly select the best-priced motherboard while meeting selected criteria. In this case, we are filtering for ATX B350 chipsets and up to 4 DDR4 DIMM slots for future expansion. The compatibility engine will filter out anything not compatible with the build. For this build and most machines outside of the top end enthusiast realm we opted to go with 8GB of DDR4 memory. The parametric filter finds the best price on 8GB kits of memory that are within AMD’s recommended specifications. We've limited it to DDR4-2800 and DDR4-3000 as Ryzen CPUs scale well with higher frequency memory. At the current time, using memory rated over 3000mhz is not advised without doing extra research as DIMM support can be hit or miss. AMD is working on releasing additional BIOS updates to add better compatibility for higher frequency memory. We're use parametric filters to incorporate an SSD with at least 500GB of space. Everyone's storage needs differs, so feel free to change those capacities as needed. In light of recent stock shortages due to the current cryptocurrency mining craze, we've updated the GPU to the more powerful Nvidia GeForce GTX 1080. It's one of the best price for performance cards on the market and an absolute powerhouse. The GTX 1080 will provide a consistent 60fps on many demanding games like Battlefield 1 at Ultra at 1080p, and even 1440p for some games like Shadow of Mordor. For those interested in VR, the GTX 1080 will have no problem playing any and and all applications currently on the market. When video card stock and availability normalizes again, we will make sure to update our guides as appropriate to reflect the change in the market. The build will be housed in the Cooler Master MasterBox 5 mid tower. The MasterBox 5 features 2 USB 3.0 front panel ports and has room for video cards of any length. It includes a PSU shroud to hide unsightly cables, plenty of bays for storage drives, and it has room for multiple radiators. There are also plenty of cable management holes. If you're interested, there's also a black version of the case. For our power supply, we're using a parametric selection of well-reviewed semi or fully modular units, all of which are 80+ Gold certified or above and can provide plenty of power for this build. Lol I knew that comment was going to be deleted, not only because it didn't follow guidelines, but if you were to make a comment like that about staff deleting comments, you're probably going to get trolled. Now I'm curious as to what the comment said, could someone give me a compliant jist of it? And delete comments like a fascist state. That's not a bad thing. Most of the comments they delete are people being rude for no reason, or just trolling and wasting space. Mmm. This is basically what I built last month. Ryzen was worth the wait! Have you tried any VR games? I'm wondering if the 1600 will be a bottleneck for the 1070. I have not played any VR games, but I ran the Steam VR test and it passed on the far end of Very Good and considered VR ready. It did not indicate a CPU bottleneck at any time. No, Ryzen is not a bottleneck but with the stock cooler and good airflow in the case, you can safely overclock to 3.8ghz so I would highly recommend. If you wan't to overclock to 4.1 you will need an aftermarket cooler or a liquid cooling system. Also, you can certainly get more than 60fps on a 1070. I would think so. 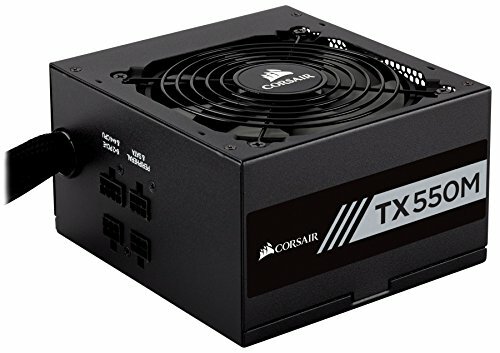 I am making a build with the 1600x right now and my build is cheaper due to the fact I'm using a hybrid hdd, cheaper case, non modular B500w psu, and a slightly cheaper mobo. Mine will definitely run better than this one, but it might not be as nice looking. I don't understand the choice of cpu for this when the 1600x is so much better. No, the Ryzen 1600 will absolutely not be of any bottleneck towards a GTX 1070. A Ryzen 1600 might be holding back the GTX 1080 in certain games. But we're talking about very few examples. The more cores a CPU have, the happier the GPU is. The same goes for 1600x, its XFR boost does not help a potential bottleneck because XFR only boosts one core to its maximum of 4.1GHz - while the other cores are running at 3.8GHz. There is absolutely no point buying a 1600 without overclocking all cores up to 4.0 GHz. That's six cores at 4.0 GHz. I don't see why anyone would buy a 1600x over a 1600, as overclocking is just as easy as using Paint. But the 1600x is only better if you don't want to overclock. I just educated myself on the overclocking ability of the 1600. Damn, thanks for saving me 60 dollars on a cooler and CPU dude. Even if you didn't mean to. What about overclocking with the 1600x? It does overclock to 4ghz. Can the 1600 overclock to that? Were you able to actually run that at 3000mhz with that board? The QVL does not show this particular RAM. Building a system similar to this and interested. Newegg shows a max of 2667, but ASRock's site (http://www.asrock.com/mb/AMD/AB350%20Pro4/#Specification) shows that it supports up to 3200. I'm a total novice trying to learn where to start. On the list here there's no operating system, wired or wireless adapters, and no audio card. I'm sure this is all intentional, but can someone explain to me as to why those things are missing? Does the motherboard come with audio and wired connection built into the board? Again, I'm just starting to learn about parts and I want to learn before I commit. One more bit: if I need to work on web and graphic design and only want to game on occasion, would it hurt to save money with a 1060 6GB Card? The motherboard will come stock with an Ethernet port, if you want wireless functionality you will have to add that. Most people do not buy audio cards but just use the audio functionality that is built into the motherboard. There is no OS included because not everyone uses windows. Okay, that's what I thought based on what I've read. Thanks so much, I didn't want to buy something unnecessary or not buy something important. Because I am am curious, would you happen to know why 32 bit operating systems are still a thing? you can do more on 64 bit than 32 bit right? Exactly, so why would you recommend 32 bit? I am new to PC. How would I get wifi to work on this? You would need a wireless adapter. Is there any Ryzen compatable MOBO with wifi + Bluetooth 4.0? Yup, but it's super expensive. It's the Crosshair VI HERO X370, make sure to find the "Wi-Fi AC" version though. The two are almost identical, but one does include Wi-Fi and Bluetooth and the other does not. I'm new to gaming PCs and I would like to to know what monitor I should get, also ill this run games like GTA V with 60fps+? Yup. Probably more. The 1070 is a good card. Basically my same line of thought. The 1600 with cooler gives some great breathing room for the budget. Yes, the stock cooler gives some breathing room, but something as simple as the very popular Hyper 212 EVO from Cooler Master offers great cooling performance (for an air cooler), leaving plenty of room for some pretty good overclock speeds. My build has a Hyper 212 EVO, which cost me about $20 I think when I bought it last June. It was my first build, and that was when I found out the hard way (since I was new to the whole computer hardware side of computers) that I bought a locked CPU. Still works great in the $450 budget build I did last year. Cool build. But no extra case fans? thats what i thought. i am using a very similar build, but with a GIGABYTE 1060 oc v2, and the extra money went into a hue+ and some aer rbg fans. it looks amazing IMO. An extra couple fans can't hurt, right? I've got two worked into my potential build, and that's on top of the fan that comes in the case. I'd rather save myself the extra few bucks, but I don't want to take a chance with things heating up and running like crap or failing outright. 2 case fans is fine in nearly all cases unless you have a case with super restricted intake. Would a Corsair Carbide 400C work with this build instead of the CoolerMaster case? I don't see why not. Pretty much any case, as long as it is ATX, would work with this build. I am new to pc builds and gaming as I have a laptop and just a mouse right now looking to do my first build this summer. I would like to know if this build would work for someone who is in college relying on wifi 95% of the time. I play games such as WoW, overwatch, etc. will this build be able to run these high - ultra and be compatible with wifi? (I believe someone already asked that). Please give any tips as anything would help. I'm thinking of just copying this build completely. A wireless adapter would do you good in that situation for sure. Yeah, just pop a wireless adapter in one of the PCIE slots and you are golden. The board listed at the current moment (parts selected via filters can change based on pricing and availability) has six: two x16 and four x1. You'd want a wireless adapter in an x1 slot. Most ATX boards will have a similar number, while mATX boards usually have one x16 and two or three x1. Just to add a little more detail - x1 vs x16 are the number of lanes (most easily deciphered by the length of the gold connectors that fit into the MB PCI-E slots). So the wifi card will be PCI-E x1, but it can be used in any PCI-E slot the same size or larger. Do a google search for "PCIE x1 vs x16" and you should see the differences in length for the various PCIE slots. The build looks nice. Having a 1070 looks future ready as i believe you throw anything at it on max settings @ 1080p this will always give above 60fps. Having said that - for how many years would this build be sufficient for a smooth gaming experience? Ghost Recon Wildlands begs to differ. Game is insane on both the CPU and GPU. If you're OK with the graphics a 1070 provides you should be set with that card until it dies(the highest possible settings in games will get prettier as time goes by, while you may have to turn down settings, the 1070 will still look good). As for the CPU it depends on if/when game developers start to code their games to use as many threads as available(WAY easier said than done). If they do, the Ryzen CPU will be good for 5-10 years. If not, I'd say up to 5. I can't see you needing more than 16GB of RAM for gaming for at least 5 more years either. 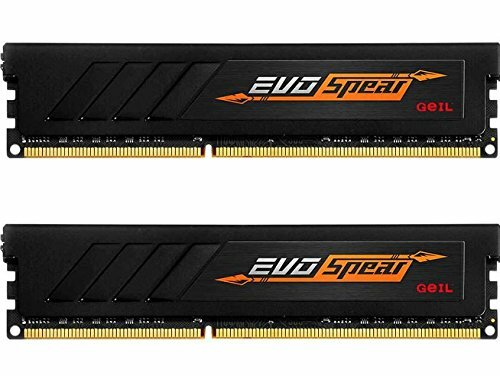 Noob question: Is that RAM any good? I've never heard of them before, not that that means much of anything. No reviews here, and only a couple on Newegg. I'm planning a build using Ryzen and the micro version of that MOBO, and I'm having a hard time finding some decently speedy ram (ryzen digs its speedy ram) that won't break the bank and that will actually work. I've checked the QVL on the ASRock site, but a lot of the ram I've tried to pick on pcpp isn't on their lists. G.Skill is pretty much the RAM brand to go with if you're building Ryzen-based systems. They have high speeds and low CAS and overclock well. All good things that play nicely with Ryzen. Thanks for the info! I'll stick to my original memory, then. 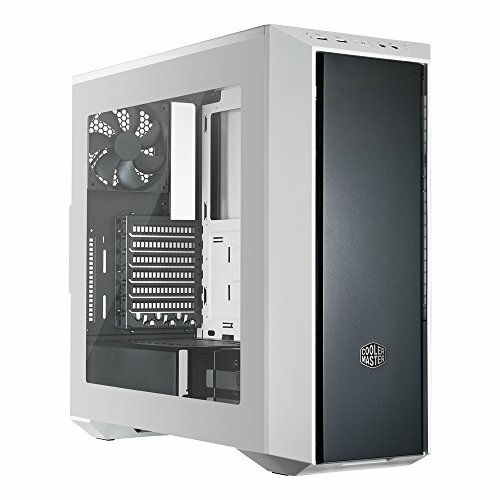 Should I get the black version of the case since it has better airflow? I'd like to keep the computer quiet, but I'm not sure how much worse the white case is. Is it really that bad? The overall airflow is probably fairly similar; both support the same fan and radiator configuration. The white just draws air through slots rather than the mesh of the black. Either will be more than adequate until you do something really crazy. probably a little late but if you are going for bang for your buck i would choose GIGABYTE GA-AB350-Gaming AM4 ATX, (note: not the gaming 3) but if you are willing to spend the extra cash for aesthetics then i would pick up that msi board. That is an amazing looking case. Thanks for putting on our radar. Might get me one. The black version. How come you say that the mini cards will not cool as effectively or quietly but then put down the Asus Blower one? Blower cards are notorious for being loud and hot. The Gigabyte Windforce OC is only $5 more and would be much quieter and cool more effectively. We can easily filter based on length to remove ITX/mini cards. We currently do not have that filtering for reference vs blower GPUs. I know nothing about PC. Trying to learn and build one in the next few months. Will this be capable of handling gta v with mods? It would have been plenty capable of running GTA V mods... You aren't going to be running many mods now however. So I'm kind of new to this so this might be a stupid question but maybe someone could help me out. This build looks good to me and it looks like it has components that I want but is there anything that isn't listed here that I need to complete the build (besides obvious stuff like keyboard and mouse)? Something for cooling perhaps? Or could I simply buy everything listed, build the machine, and have it up and working without problems? Choose KB, mouse, monitor and OS and you'll be off to the races. Add an optical drive to the list if you get your OS on DVD, otherwise USB versions are available. Forgive me for being such a noob, but does anyone have photos of a finished build so i can see where everything goes? Thanks! I recommend visiting PCPP's Youtube channel and watching some of the build videos. Is this a better bang for your buck in comparison to the Great Intel Gaming build? Do I need to buy extra fans or do the fans that already come with the case provide enough cooling? An additional intake fan or two in front wouldn't be a terrible idea, but you should be fine with the included fan. How does this build look overall? I have been studying this stuff for a couple months and have already bought most of it. https://pcpartpicker.com/user/skippyikeoh/saved/qFmjXL I am asking because I used amazon prime for all of it and can still send stuff back and get all my money back. Roughly how many frames would this get on a steam game like rust or csgo? Will this run games well with a 144hz monitor? The white version of that case has a solid front panel that really limits the air intake compared to the black version with its mesh front. If you are in the SF Bay Area I can do it. Will this build allow me to add additional graphic cards in the event that I try to use it part-time for some crypto-currency mining? I'm looking to create my first build, is this a good setup for a first-time builder? There is no cooler included with this though. Per the second line of the guide: The R5 1600 includes a stock cooler, so a 3rd-party cooler isn't necessary. Does the case come with a default fan? And if there is does it cool down the desktop properly when under a heavy load? Hello, I am completely new in this scenario of assembling a gaming PC. This build looks very interesting judging by the comments and some google research. I have a few questions, though, if anyone could be so kind: - Why there is no CPU cooler listed? - Can this build be upgraded when the graphic card becomes obsolete? - How long do you imagine it will take for it to become obsolete? Most processors except very high-end ones have a stock CPU cooler, which this particular model (R5 1600) does include. It has a Wraith Spire cooler, which is very similar in performance the Cooler Master Hyper 212 EVO, a cooler that was famed for its spectacular price/performance. Most desktop PCs can be upgraded, such as this one, but some PCs are unable to be upgraded; notably 99% of laptops and some pre-built PCs (made by companies such as HP or Dell, for example) lack the ability to be upgraded or are gated by certain power restrictions on the motherboard to certain parts of the motherboard, which is often a wattage gate of 75 watts on the PCI-E slot(s). Finally, it really depends on what you plan to play, what tolerance you have for lower graphical settings in the future, and other variables such as games utilizing more cores or not in the future. You could expect maxed or near-maxed 1080p gaming (1440p should hold up fine as well) for at least the next two years, and then may gradually perform worse as time goes on. I expect this build will still work fine for the next 6-8 years by my standards, playing things at medium-low by that time with playable frames. Computers and their advancements in technology is currently at an all time low, which means that requirements for games shouldn't cause this computer to age as quickly as one from 2010 to today would age. Overall, I would say this is a great PC for you to buy, but I would highly suggest holding off until the video card market goes back to normal; a lot of the AMD cards are sold out, which is causing Nvidia to raise their prices. A few months ago, I saw a Zotac GTX 1070 for only $320 on Amazon, which I consider worth the wait for a $90 drop. The Ryzen 5 1600 comes with a CPU cooler. Yes, so long as the video card is PCI-E x16 (should be so long as no major advancements happen); other components can be upgraded, such as the Ryzen 5 1600 to a Ryzen 7 1800X. I would say about 7 years. For complete obsolescence, 10-12 years would probably be pushing it without the upgrades, which might give it a few more years. This is the first time 4-core processors may be mainstream, so 6-cores may age faster. It is pretty difficult to guess this though, so take it with a grain of salt. NOTE: I would personally pick up Kingston HyperX, G. Skill Ripjaws V, or Corsair Vengeance LPX over the Patriot RAM. Just brand preference and whatnot. You can choose to buy 16 GB of RAM right now, or buy an 8GB kit right now, and buy another 8GB later down the line (just make sure you get the exact same model). Also, swapping the current SSD they have for a Samsung 850 or 860 SSD would definitely be worth it. If you don't find the loading speeds essential to you for starting up your system and games, feel free to opt out of an SSD and go for the 1TB Seagate Barracuda HDD. If you have other questions, I'll try to respond as soon as I can. Thank you very much for your comprehensive answer. Yes, I'm not such a demanding gamer and I have a goo tolerance to medium graphic level settings. Your assessment definitely suits my profile. Again, thank you. It's much appreciated. Thanks! No problem, man. Also, don't be afraid to check out open-box items from trusted retailers. If there is a return policy still in play on a used item, go for it. On Amazon a while back, an Asus Strix GTX 1070 was going for $360 new, or $290 open-box like new. Once again, the video card prices have really gone haywire, but looking at those deals are certainly a nice little bonus to have around. Good luck building! Has anyone done a video with gameplay of games? I want to see how it runs before I buy it. If anyone can tell me how this game will play stuff like Rust, Arma2/3, and others of the same or greater requirements. I want to run them on high/medium settings with 60+ FPS. I figure it can easily get 60 fps with high or Ultra settings. Is DDR4-2400 ram ok?? I would like to build a pc like this. I have one major problem with this, the RAM speed. The cost of higher speed RAM is not needed, as many people have shown, i.e. LinusTechTips, Paul's Hardware etc., RAM speed isn't as vital as most people think and a stick of 2666 MHz RAM compared to a similar stick of 3000-3200 MHz RAM provides only a 1.57% increase in performance, for about $60(USD), which could be put forward for a R7 1700 or R5 1600x, both compelling upgrades. Do you have any benchmarks to confirm the benefits of having higher speed RAM? Linus basically did a GPU benchmark, it in no way tested RAM since he was GPU bound the whole time. Highly interested in this build and to possibly bring the cost down lower, I have an SSD from 4 years ago that's still going strong: https://m.newegg.com/products/N82E16820147189 would this work fine as a sub for the one in the build guide? Also I guess just for future proofing, does the mobo allow for say upgrading to a ryzen 7 1700 like 2 years down the line possibly? Thanks! I recently built my first PC with basically the same specs, Ryzen 7 1700, Asus 1070 Strix, MSI B350 etc. I also got the same ram but it was incompatible and I was not able to get it to post until I bought a Corsair Vengeance LPX kit. After I switched it out everything worked perfectly. Not hating or anything just giving a warning to anyone who's going to be buying these parts. Maybe it was just with Ryzen 7 but I'm thinking it was Ryzen in general. This board comes around $40 if you combine with ryzen 5 from Micro Center. I made the same build to myself last month. Runs good so far. Wait, okay, so first thing is I've never built a pc before and this is my first time using this site. secondly the build list that I just made is about $200 more than this and I don't know if it would be considered as high end as this build. is there any way I can put the build list in the comments or the link and somebody look at it and tell me? Great build, though if you have slightly bigger budget you should get a better 1070 such as the Asus - GeForce GTX 1070 8GB Video Card and the motherboard swapped to a MSI - B350 TOMAHAWK ATX AM4 Motherboard. Also the SSD does not need to be so large, a 256gb will do with a 1tb 7200rpm hard drive like the Western Digital - Caviar Blue 1TB 3.5" 7200RPM Internal Hard Drive which is the cheapest quiet one turning out out far cheaper ( Samsung is more expensive anyway for an SSD. I would get this: https://uk.pcpartpicker.com/product/Ks8H99/adata-ultimate-su800-256gb-3d-nand-25in-sata-iii-ssd ). Everything else seems cool as long as you factor in the OS (Just get a £9 one online for USB download) and a monitor. 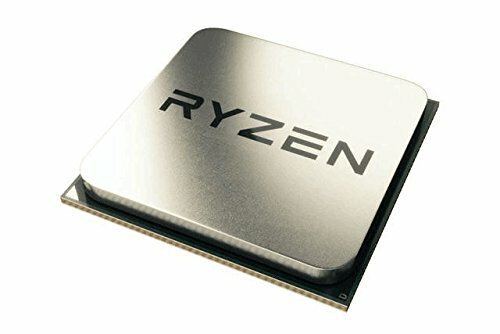 I have a i5 4460 and a r9 290 if i was to get an ryzen 5 1600 how much performance difference would I notice? I know i would have to buy a compatible motherboard + DDR4 Ram. Then I would sell my mobo+ram+cpu in a combo for about $225. So, I would be investing about $100 for the upgrade. Ryzen scales with higher frequency memory and I wouldn't recommend any lower than 2800. Any recommendations would be appreciated. Thank you. This is a solid video for getting started once your PC is assembled. how does this compare to mac pro? I would not put a SeaSonic PSU in this build. Get something from the builder series from Corsair instead. A TAD more expensive, but it is way more reliable and wont potentially fry your system. Seasonic are consistently some of the highest rated power supplies on the market. I would definitely not downgrade to a builder series unit. Fair fair fair. Like the build! Good price. That's a really nice, kinda bare-bones, "this will get you going" build, you have my +1. 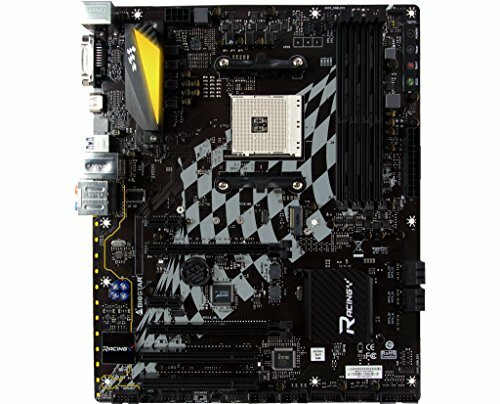 First off, you can change the B350 mobo to the X370 of the same model (Asus PRIME X370-PRO). In which case, you'll be able to move to an X-series CPU later on easily and fully benefit from the added functionality (X370 boards offer better overclockability of both CPUs and RAM, and B350 ones don't really let you benefit much from Ryzen's X-series processors). It's only £57 more for the X370 board, putting the build just over the £1000 mark, which I think is more than worth it without breaking the donkey's back. I would also suggest changing the WD SSD, since they're not really all that great in terms of quality. Sure, it's practically the same Samsung memory modules, which every manufacturer uses, but still - lower build quality altogether. I'd recommend going for either a 480GB SanDisk SSD Plus, or Ultra II, or a 500GB Samsung 850 EVO. Again, neither of the three will stretch the budget too much over the £1000 mark, with them going for an additional£4.05, £14.05 or £7.26, respectively, over the parametric WD SSD. Well worth it for the added piece of mind of the better build (also, generally higher read/write and such). Another thing I'd recommend is not having all your trashy (small, frequently erased/moved) data on an SSD, since that will lessen its' lifespan quite rapidly. 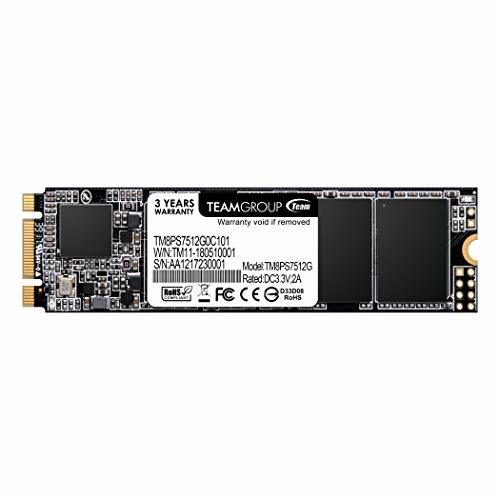 I would suggest going with either a 128GB Intel 600p-Series m.2 SSD, for your OS, Games and important programs, and a 1TB WD Caviar Blue for your general bulk data (files, music, movies/videos, pictures, all those small things). This would actually save you £15.92, and give you a faster boot time and general OS/App response time, while also giving you more storage. I know the 600p isn't really the best m.2 drive available, but it's cheap and effective. If you want something with better build quality, go get a 250GB 960 EVO, though that would make all your overall storage cost £32.94 higher (with the 960 EVO and WD Caviar Blue). But again, it's not all that much over and it's well worth it, in my opinion. Now, with the X370 board, you'll be able to oc that ram to ~3000 (afaik B350 boards don't really do that well when overclocking RAM), you'll be free to upgrade to an X-model CPU when you feel like it (instead of needing a whole new mobo to fully benefit from the more capable CPU), and the 600p m.2 drive will give you a post/boot time of just a couple of seconds, you'll have more, and more reliable, storage with the 1TB WD (and the 128GB on the m.2). All at only £41.08 more than the original list, totalling £1024.94 - hardly enough to not warrant it! Can you explain to me how the X-Processors benefit from a x370 board? Overclocking will be better on what ever CPU you put into it, and arguably the overclocking is more important on the non-X SKUs. Are there any features that require x370? AFAIK it is only SLI that needs the higher end boards. "I would suggest going with either a 128GB Intel 600p-Series m.2 SSD, for your OS, Games and important programs"
I don't think you were realistic there. Most games today take around 40 to 60GB. Some take much more. If we're talking about the best bang for buck, the RX 580 would've been a more reasonable gpu. And with a 550W psu for a 1070? It's risky to use a low wattage psu on such a power hungry gpu. Just my thoughts. Edit: You might want to get a fully modular psu if you're still new to building pcs as it WILL make cable management a breeze, otherwise you can get the semi-modular(a little bit harder to do cable management on, but the price tag will make you reconsider). This isn't a bang-for-buck build. Also, the 580 at this particular moment is suffering from high prices and low availability due to a cryptocurrency bubble. Miners are buying them all up. And 550W is plenty. The PCPP power estimate is 306W, and that's largely based on power envelope estimates provided by manufacturers. The true average power draw will be even lower, 250W or less in all likelihood. BTW, all PSUs in their filter selection are semi- or fully-modular. I guess I have to agree. My mistake. And with a 550W psu for a 1070? It's risky to use a low wattage psu on such a power hungry gpu. Wat. You could run two 1070's off of it. 550W is more than enough for even an overclocked GTX 1070. The stock cooler is more than good enough for light OC. i don't like coolers that dissipated/dispersed heat inside the case, something like the Noctua - NH-U12S or water Corsair - HXX is better. The ryzen 5 1600 comes with a decent stock cooler. I'd drop the SSD and get a HD for 50$. Put the extra 100$ into a better board+ram+CPU cooler that can actually support 3200+ memory. Drop the PSU for something like a EVGA 500 watt as its plenty and would save even more money. Personally not a fan of the case when it comes to looks but it works i guess. Paragraphs please, this is literally unreadable. why so much Ryzen, why not Intel build? And also maybe do hybrid build, office and gaming. Well their Threadripper CPUs are going to to exactly that. And offer more PCIe lanes than their Intel counterparts. But is r5 actually better overtime, for me, AMD is trash and breaks, not to offend anyone. ... this comment does not make sense. Well, i believe any cpu can last for 4-5 year least unless you dont know how to oc or run it 24/7 fulload. As for something good for over time, think about some HEDT with liquid-cooled which can be used for 10 years without worry. The lifespan of cpus can be up to 20-30 years but it depend much on how you use it, the psu, mobo, cooler etc.. Your very biased idea of AMD. CPU's just don't break, provided no user error they are something that will work basically forever or defective out of the box. Also calling AMD CPU's is just being biased. You are calling a company that helped even helped Intel get to where they are at now, dominated them at one point, and is now seriously competing against them trash. Several of the build guides have options for both intel and ryzen. Did you bother to check the guides? 6 out of 10 are intel builds.. I respect that you don't like AMD but stop talk trashing it. This is not the place for that.. Otherwise the comment will get weird formatting. ok i understood .. many thanks for that,i was also curious about the text formatting,even if i cant define how to show the correct symbol,my keyboard doesn`t show it directly,its mainly for Greek ... sorry for my ignorance in that = what means "FYI" ?